Did you spot Partnership to Educate and Advance Kids (PEAK) in the Chicago Sun-Times? We are so proud of our partnership with PEAK and their support of many of our students…and now you can read all about it! 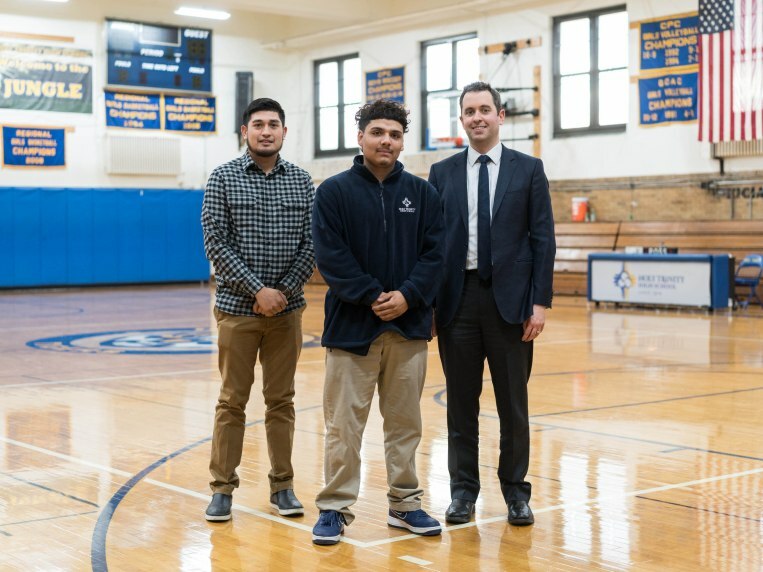 Current student Rafael Garduno, his PEAK mentor Jerry Silva and former mentor John Malloy (Holy Trinity’s COO) were featured in an article entitled “Playing it Forward” by Maudlyne Ihejirika on Tuesday, December 4, 2018.